last time today after clocking up 39 years service with Naas Fire Brigade. 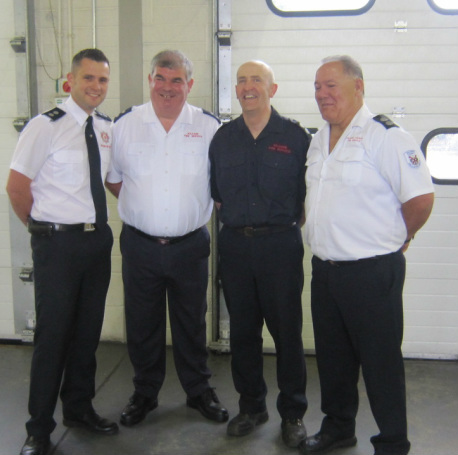 There is no fire fighting Doyle at helm of Naas Fire Brigade for the first time since 1933. Anthony followed in the footsteps of his father Station Officer Thomas Doyle (36 Yrs Service) and his Grandfather Station Officer Louis Doyle (22 Yrs Service). Anthony served the town of Naas alongside his uncles Peter Doyle ( 25 Yrs Service) and Jim Gaffney ( 26 Yrs Service) and his brother Sub Officer late Tommy Doyle (25 yrs Service) . 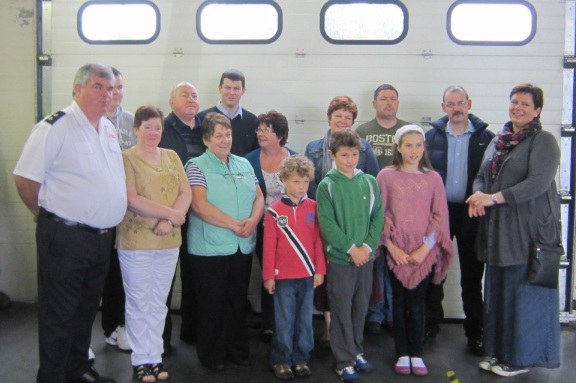 At 11 am today the extended members of the Doyle family and members of Kildare Fire Service, Kildare Civil Defence, Gardai and Ambulance Service gathered at Naas Fire Station to honor Station Officer Anthony Doyle on his last day of duty after 39 years service at Naas fire Station and to wish him a Happy Birthday.